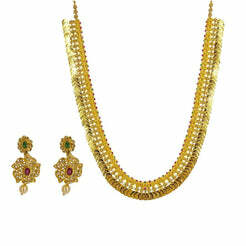 18K Yellow Gold Diamond Mangalsutra Necklace W/ 0.7ct VS-SI Diamonds for women. This beautiful 18K yellow gold Mangalsutra necklace features a unique pendant encrusted in 0.7ct VS-SI round brilliant diamonds with F-G color. 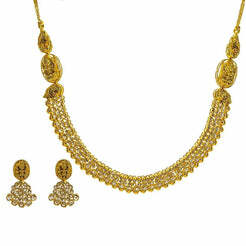 This beautiful symbol of matrimony features a black beaded necklace 18 inches long and 3 mm wide. 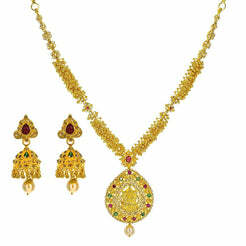 Its elegant pendant is 25 mm long and 45 mm wide. This piece has a total gold weight of 7.2 grams.